Tessa Phongsavath senior graphic design major. Photo taken by Joe Yi. Filled to the brim with experience, this graphic design major thought outside the box when creating her design. Nearly a year ago, Tessa Phongsavath ran across a poster for the Be a Bear T-shirt contest and it sparked her interest, to say the least. Fast forward to the present, she combined her skill and passion to find herself a top three finalist. Phongsavath is a senior studying graphic design at Missouri State University. For her class project, she had to submit a design for the contest. The kicker? She had only an hour to conceptualize and create her design. The winner of the contest will have their design on the Be a Bear T-shirt and sold at the bookstore. Proceeds from the T-shirt sales support students facing emergencies. “Where do I meet in the middle of a quality design, but also something that is fun and not too serious?” Phongsavath asked herself. This influenced her to design outside of the typical Missouri State T-shirt, focusing on the alternative route. 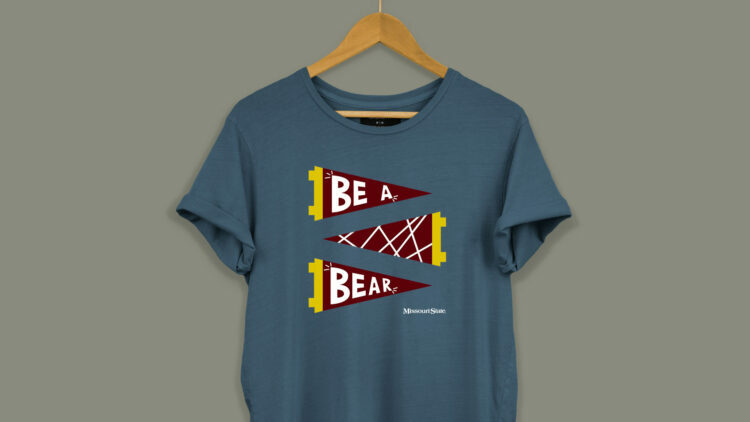 “It’s not just words that say, “Be A Bear”, instead it has pennant flags along with some fun yellows and maroons on top of navy blue to make it stand out,” Phongsavath said. While her talent is clearly from within, her inspiration for the T-shirt stems from a more external source. 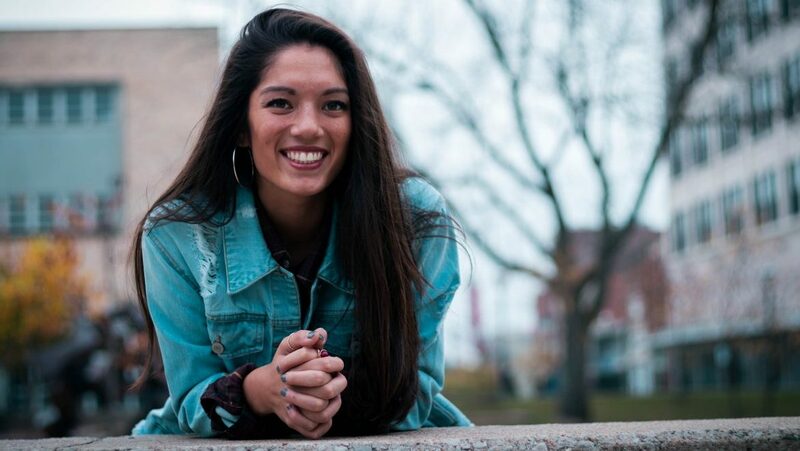 “It’s easy to be inspired through Missouri State’s graphic design program, it’s truly an environment that allows us to unplug which aids us to be as creative as we can be,” she said. Phongsavath is excited about the competition but, her true passion lies in the print. Although bridal stationery is a thriving point for Phongsavath, she’s keeping her mind open for the future. “Truly, anything in magazines is great. I would love to do branding, marketing, illustrations…anything print,” she said. For now, Phongsavath plans on continuing to grow her skills to prepare for the real world of graphic design. The Be a Bear T-Shirt contest is a way MSU students can engage with the university and help their fellow students. Each year students submit their designs for consideration, and a committee of professionals and students chooses one as the final design. Proceeds from the T-shirt help support the Emergency Scholarship Fund. This year three designs were chosen and now, it’s up to you, the student body to decide which one you want. Voting begins February 11 at 8 a.m. and will close February 12 at 5 p.m.